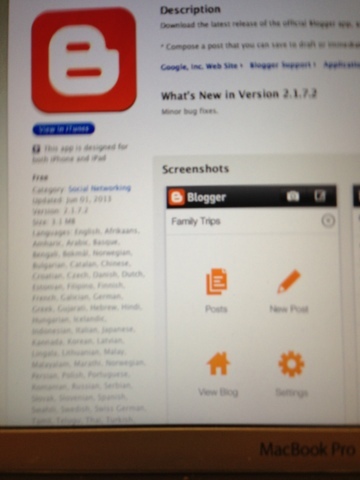 Today I finally downloaded the iPhone blogger APP - no more excuses not to blog no matter what's going on! That can be good or bad -previously if I'm busy when I come up with a concept to write about, I just write a memo and develop it later. Now I can write immediately. Less of a thinking investment but perhaps a whole lot less forgotten ideas! The other APP I downloaded today was one to help me memorize scripture - the plan is that it's recorded on my phone and I can practice verses anywhere I am. Genius! Now all I have to do is be disciplined enough to use the awesome tools I have. So I'm curious -what's your favorite use of the smart phone?